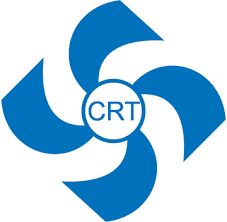 CRT/N is a non-governmental organization and has been engaged in developing, promoting and disseminating environmentally sound and climate friendly rural/appropriates and renewable energy technologies and strengthen capacity of rural communities in creating better opportunities through mobilization of local resources to improve rural livelihoods. The technology promoted mainly includes households and institutional Improved Cook Stoves (ICS), Improved Water Mill (IWM), Improved Water Mill for Electrification (IWME), Hydraulic Ram Pump and Water Management System, Solar Cookers, Solar Dryers, Bio-briquette for rural Nepal with diversified and versatile applications to meet rural needs. CRT/N has extensive experience and expertise in integrating productive end uses and micro-enterprises with renewable technologies while also gender mainstreaming and strengthening of local/community organizations. Objectives • Promote and disseminate rural/appropriate technologies to meet the basic needs of the people and improve their quality of life. • Conduct adaptive and action-oriented research on indigenous and improved rural/appropriate technologies. • Train and transfer technical information and know-how on production, installation and management of rural/appropriate technologies. • Assist in development of technical and institutional capabilities for sustainable development. • Provide technical support and consulting services in the field of rural energy and environment conservation.